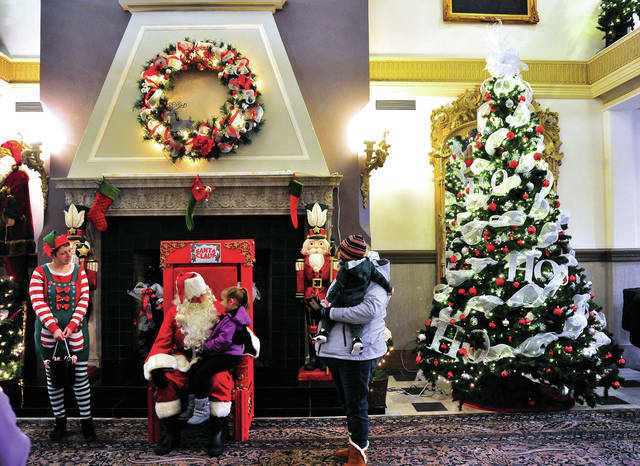 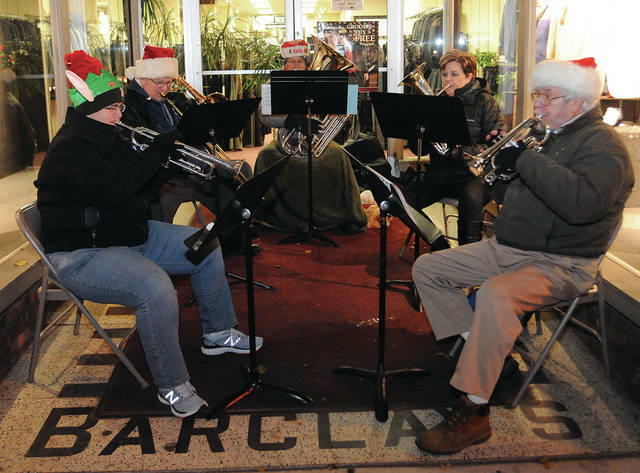 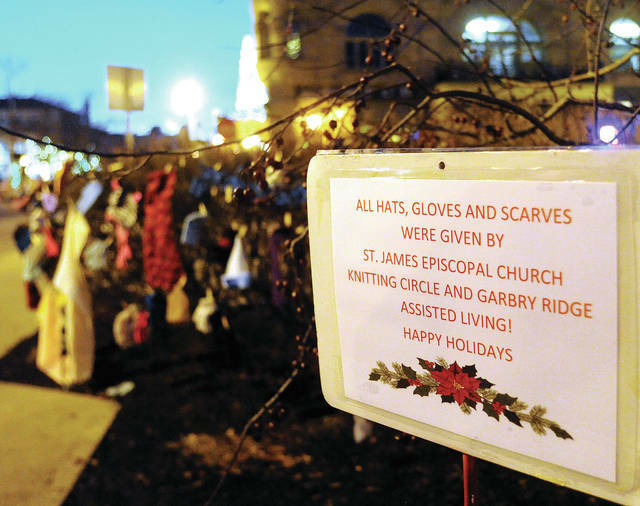 Gloves, mittens, hats, and scarves dangle from bushes in downtown Piqua on Friday, made with love by St. James Episcopal Church Knitting Circle and Garbry Ridge Assisted Living residents. 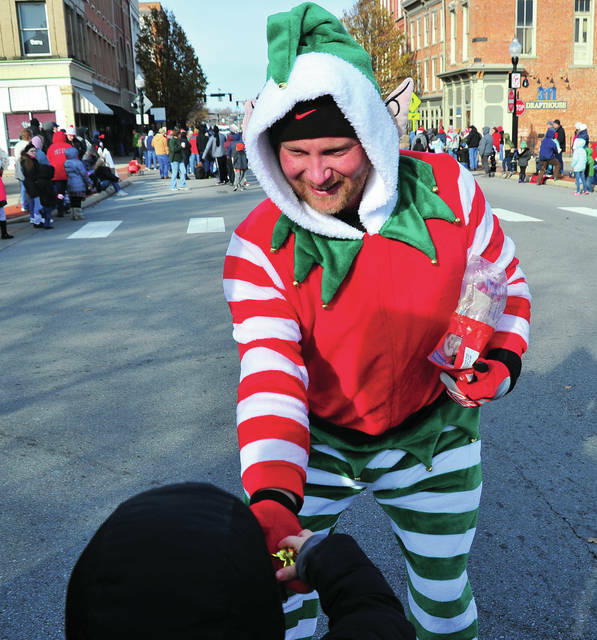 The items are free to anyone in need. 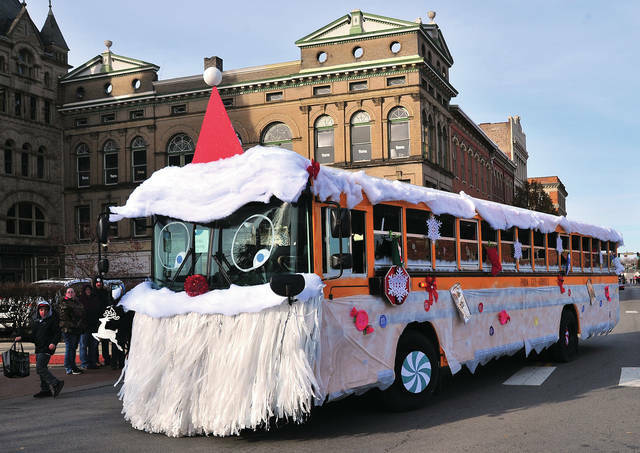 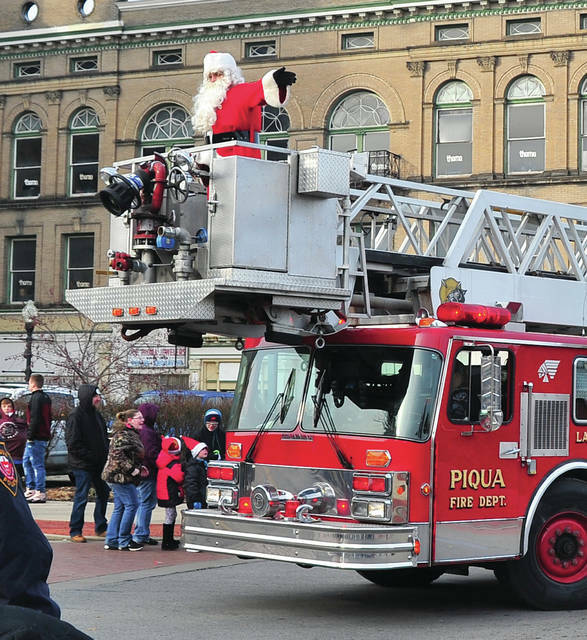 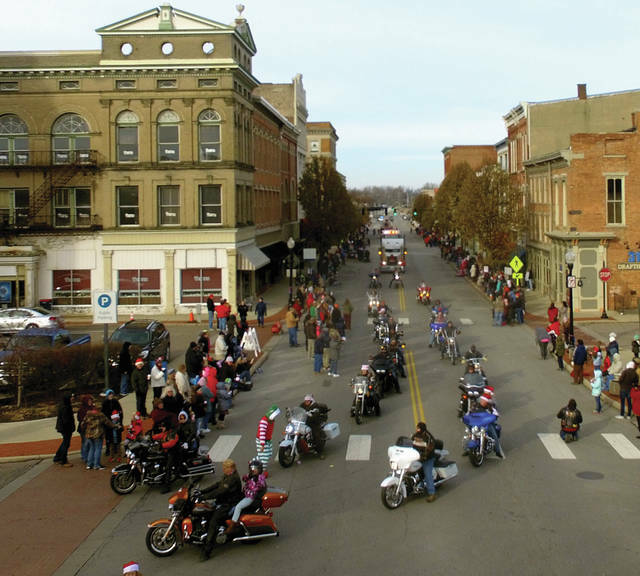 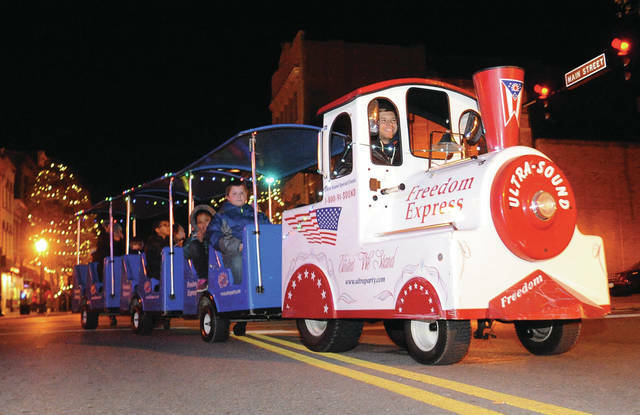 The Piqua Fire Department offered Santa Claus are ride in Saturday’s Downtown Christmas Parade.